How-Do you make a mobile site? The mobile web is becoming more important with each passing day. In the UK alone, more than 13.5 million people now surf the internet on their mobile, and it is predicted that mobile internet users will outnumber desktop users within 5 years. Quite simply, companies who choose to ignore these astonishing figures risk being left behind. That's why the first question that forward-thinking companies should ask themselves is: "Does my site work on mobiles?" Most websites don't display properly on mobile devices, no matter how much they cost. 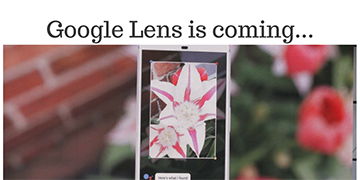 After all, there is a limit to how much detail you can provide on a handheld device – the dimensions are smaller, screen resolutions are reduced and data transfer is slower and more expensive. Last year, How-Do, the north-west's leading news portal for the north-west's media, marketing, PR and advertising industries, asked theEword to develop a new mobile site optimised for smartphones. Like most websites, the old How-Do site could be accessed by mobiles but it was not without its problems. The site was just the same as the online offering, and so required the user to do lots of zooming in and out, download lots of expensive data and wait for it all to load up. Far from ideal. However, in just one month, theEword conceptualised, tested and delivered a fully functioning site that has been optimised for smartphones. 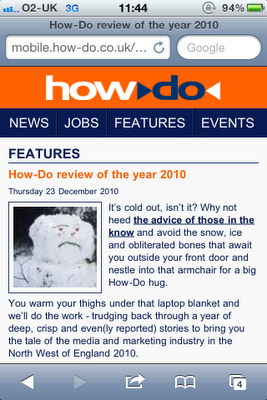 The beta version of the How-Do mobile site went live on Wednesday, 22 December 2010 and the final version was delivered at the start of 2011. Automatic redirect – mobile visitors who go to the desktop website are automatically taken to the same page on the How-Do mobile site (mobile.how-do.co.uk) – the user then has the option of instantly returning to the same page on the desktop site. This gives the user complete flexibility on what user experience they want. Reduced download demands - One image is automatically resized and used to illustrate each article, saving users time and money, and the code of the website is optimised. The size of every element is considered, reducing the download time and allowing the user to get to the information they want much quicker. Low management overhead - The mobile website seamlessly takes all of its information from the desktop site. No additional time is needed to maintain the mobile site. 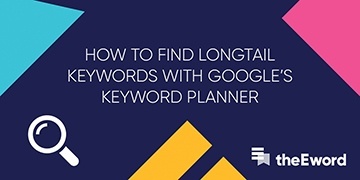 Google Analytics ready - Launching the How-Do mobile site was just the first step; the site is compatible with Google Analytics, allowing the team at How-Do to easily track the performance of the site. Streamlined navigation - Users can rapidly browse the key sections of news, features, events and jobs in a user interface designed for mobile devices. The text and buttons are larger, making it easier for the user to navigate, and no horizontal scrolling is required. 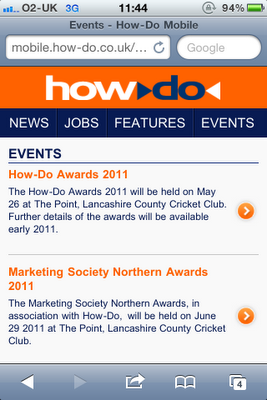 Rachel McCormick, head of operations at How-Do, said: "We are delighted with the How-Do mobile site developed by theEword. The team has done a fantastic job to complete our design-and-build project on time and on budget. Thanks to their skill and hard work, we now have a mobile site that is accessible to all our readers. We would recommend theEword to anyone looking to build a professional and cost-effective mobile site." Alternatively, why not just pick up the phone and call us on 0161 848 4300?